Note: if you have MarketReplay downloader already installed please proceed to Upgrade Steps. Download the latest Add-On from this link. In NinjaTrader Control Center (make sure “File” tab is active) select menu “Utilities” -> “Import NinjaScript“. This warning message may appear if there are some compilation errors with the existing indicators or strategies. You need to contact their respective vendors before you can install any Ninja scripts, including MarketReplay downloader. Select downloaded file (a folder may be different, verify your browser settings) and click “Open“. The example is provided for the default download folder for the Internet Explorer and Firefox browsers. 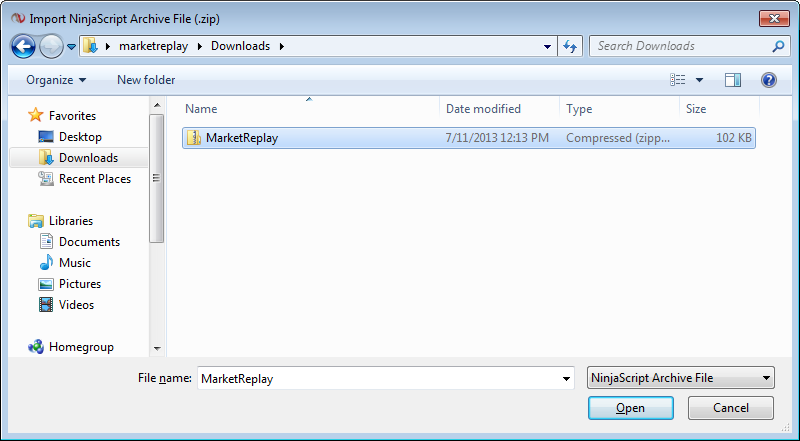 Also make a notice that a download folder may contain files like MarketReplay(1), MarketRelpay(2) and so on. In this case you need to verify the name and the date of the most recent downloaded file. However, to make a process less complicated just erase all of them and download the file again from here. After successful installation this message box will appear. Proceed to the Register Free Version page. It is assumed that the previous version of the software has been installed already. Proceed with the steps similar to the installation process. Select downloaded file and Click “Open“. Click “Yes” to confirm replacement an old version. Confirm a notification dialog that after the installation you have to restart NinjaTrader. 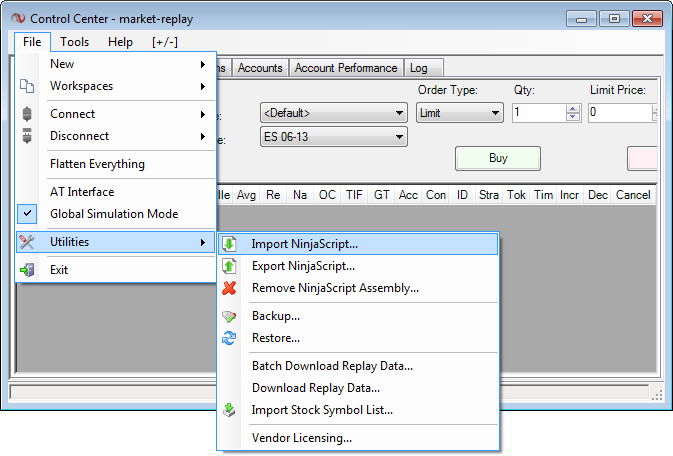 Note: even if you use 64-bit version of NinjaTrader, a message will contain an information regarding MarketReplay.X86.